When my 7-year-old daughter Danielle expressed interest in learning martial arts, I knew that Kung Fu was the style I wanted her to learn—not because Karate or Tae Kwon Do are not good styles, but because Kung Fu is truly a unique form of martial art, one that provides discipline to the body and mind while teaching my child how to defend herself. After visiting Peter Kwok's Academy, it was clear I found the right school for my daughter to attend. This was noticeable through the various Sifus' knowledge and ways of teaching, as well as the small classroom size which meant more focus on the individual students. It's been five months since my daughter joined Peter Kwok's and the benefits have been tremendous—from the Kung Fu forms she has learned, to the noticeable discipline she has acquired—she has become more focused and increased her self-esteem. She just passed her first test last week and earned her yellow belt—an amazing achievement that reinforces the teachings of Kung Fu, which emphasize that through time and effort she can achieve anything she wants in life. Thank you to Sifu Randy and all the other instructors for an excellent job of teaching this beautiful form of martial arts to the next gemeration. I got into Tai Chi quite by accident. I was home from college for the summer and working too many jobs. My mom suggested I do something for fun; pick up a new hobby. I said: "Well, there is a Tai Chi school nearby." She said: "I was thinking of something more like tennis, but whatever you want." So, I called Peter Kwok's Kung Fu Academy and signed up for my first class. Coming to Tai Chi in such a random way, I was very lucky that I came to Peter Kwok's. Master Elia is an incredible teacher and wonderful person. I sought out Tai Chi because I thought it was pretty and I liked the fluidity of motion. I could very easily have ended up in a class that only taught the martial side of Tai Chi or only the health benefits. Fortunately, Master Elia teaches the whole package, adjusting his teaching style based upon the needs and interests of his students. 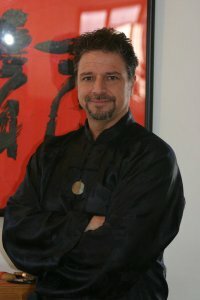 Master Elia has an excellent teaching style and it is one I attempt to emulate in my own Tai Chi classes. He begins the class with the entire group together to warm up and do Qigong. After the warm ups, he divides the class based upon progress in the forms. This way, each student gets time to practice what he or she is learning, but also gets feedback and instruction from the Sifu directly as well. This approach also allows the student to progress at his or her own speed. I loved the classes I took with Master Elia, and even now that I live far away, I still go to New Jersey to study with him when I can. Tai Chi has become an important part of my life, and I owe it all to Peter Kwok's and Master Elia. As a senior citizen who has taken Tai Chi classes at Peter Kwok's for many years, I feel obligated to encourage everyone else to do the same. There is no doubt it increases flexibility, strength, balance, and focuses the mind. Who among us couldn't use more of any of these things? After injuring my shoulder I decided to try Tai Chi instead of Yoga; I only intended to stay for eight weeks and return to Yoga when I felt better. A year and a half later I am still at Tai Chi and loving it. Always enthusiastic, Master Randy is a kind and patient teacher. The gentle flowing movements of Tai Chi provide a relaxing workout, increasing my mobility and balance, and calming mind and spirit. I have also found a personal spiritual growth that has helped me in the practice of Reiki. I never feel bored with Tai Chi—like an onion there is always another layer waiting to be peeled away. All of the teachers at Peter Kwok's are very knowledgeable and helpful. The atmosphere is non-judgemental and the students are friendly. As Master Randy says, "There are no errors, just corrections." Becoming part of Peter Kwok's Kung Fu Academy is more than becoming a Kung-Fu practitioner. It is entering an atmosphere where you become part of a family and can truly express one’s self. For me, Peter Kwok’s Kung Fu Academy means a lot in so many different ways. When I started at the school I was a bit overweight and didn't feel my age; I felt older! Since then, the weight has come off and stayed off. And now that I'm older, I don't feel like I'm in my 30s . . . I almost feel like I could keep up with my 20-year-old self, which makes me feel pretty good! I enjoy the classes at Peter Kwok’s and each class is different as each teacher has their own style, but all are positive and encouraging. I am very proud of my accomplishments at Peter Kwok’s as now I am a second generation black belt in my family and I have something I can pass down to my son. It truly has become a family art . . . one I hope will continue on into the future! Being a student in the Shaolin Kung Fu classes changed my life for the better. For the first time in my life, I had decent balance and coordination, a higher level of confidence in my physical abilities, a greater understanding of how my body worked, and more flexibility than I thought I could have. I slept better, could work harder, and felt healthier than I ever had before. Peter Kwok’s Kung Fu Academy fosters a very positive outlook on life and has affected me greatly with its traditional teachings. The spirit at the Academy is very family-oriented. Classes are always well-grounded in tradition and the teachers are extremely helpful, knowledgeable, and worth of respect. Overall, Kung Fu has made me more positive, relaxed, and, above all, a happier individual. Sifu Randy’s patience is a welcoming trait and escape from the hustle of living in New Jersey. I joined the family in January 2008 and my respect for the rewarding curriculum keeps expanding. 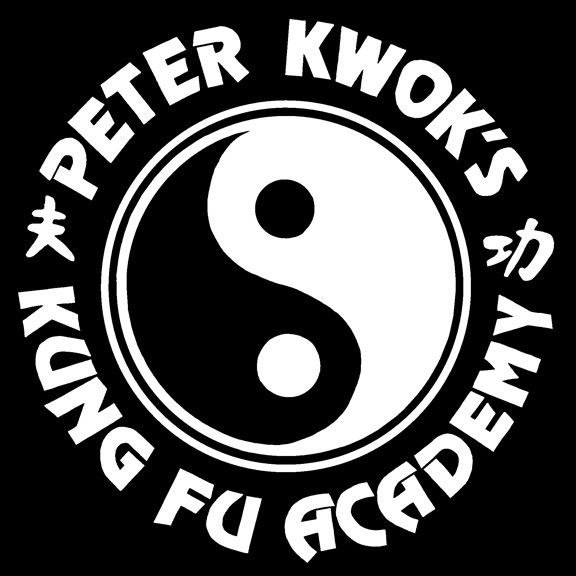 Peter Kwok’s is a Kung Fu Academy for a lifetime. I have known and respected Julie professionally for over ten years, and she truly is a gifted energy healer and teacher. She is incredibly compassionate and dedicated to the healing arts, and I am honored to have had the opportunity to work with her to achieve balance and harmony in my life. I highly recommend Julie as a Reiki Master Practitioner. Julie is an excellent Reiki Master who is a great practitioner, teacher, and student combined. When I am in her care I feel that she is compassionate, centered, and responsive to the needs of the moment. I would recommend her for treatments without hesitation. Julie is a fantastic Reiki Master Practitioner and my session with her was truly a life-changing experience. Prior to this session, I had some knowledge of the art of Reiki and healing practices, but Julie's knowledge of and passion for Reiki opened up a whole world of healing to me that I never knew existed prior to our session. I even want to learn Reiki for myself now, and hope I get the chance to eventually. She is very kind, personable, and warm and the 1-on-1 sessions are worth every penny! One day many years ago Julie walked into C.A.T.S. Resale Shop in Westwood. There she saw our little Henrietta, a petite cat who was FIV+ and had the sniffles. Julie layed her hands on Henrietta and seemed to comfort her. As Julie continued her treatments, Henrietta's sniffles stopped and she became more comfortable; you just knew she was feeling better. This happened again with another cat: Julie came in to help and the turnaround was just as dramatic as with the cat before. I had no idea how much Reiki would benefit me. Reiki has changed my life . . . I went into it thinking that I was just going to be able to help animals, but there is so much more to it than that. Through Julie, Reiki has enabled me to expand my world and help myself and others in ways I never thought possible. I believe every animal shelter and rescue group should bring the gift of Reiki to their animals who are stressed and traumatized. Thank you, Julie, for sharing this gift of Reiki with me. Julie is an exceptional person from a personal and professional standpoint. She is also extremely capable as a practitioner of Reiki. I've been a client of Earth and Sky Reiki since its inception and wholeheartedly recommend Julie as a Master Practitioner. She has the perfect demeanor and spiritual balance to effectively deliver the wellness associated with her healing craft. Thanks Julie for bringing calm (more than a few times) to the inner storm that is (sometimes) me. You're the best. Julie’s great! She’s kind, patient, and professional, making my Reiki experience wonderful. I had some idea of what was going to happen the first time, but I was still apprehensive. Her quiet and calm approach left me relaxed, as well as, rejuvenated. I was in an emotionally stressful situation at the time, and several other things came up during the Reiki, all of which I felt better about afterwards. The time at which I had my Reiki could not have been better as I had been having a bad day and the Reiki turned it around, relaxed me, and put me in a better mood that lasted over 24 hours. I am very thankful to my Reiki practitioner and thoroughly enjoyed the Reiki and would love to have it done again, as well a learn it myself. Thank you!